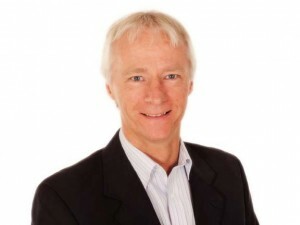 Chris Powell, founder of The Event Expert, has been designing, planning and delivering events for the past 24 years. I am a specialist event management trainer and consultant. I have been a local authority event manager and event director of a range of events including Exhibitions, Superhero Tri, Food and Beer festivals, Press Launches, major festivals and conferences as well as helping a variety of organisations to deliver their events – as a freelance events manager and coach. For the past 19 years I have also been delivering In-house, bespoke event management courses and coaching programmes covering all types of public and business events. My clients are first time event planners right through experienced event professionals. I also deliver event subject specific courses, presentations and 2 to 5 day master classes. The aim of all my event management courses and coaching programmes is to give my clients the confidence and skills to design, plan and deliver their own outstanding and rewarding events. My aim is to inspire all ‘accidental, occasional and professional event planners’ I work with to believe in themselves: to learn to be a great event planner. I am also author of three event management books on Corporate and public events and a regular speaker on all things events. In short, I know events. I am an events groupie and love all things events! With some 500 events successfully completed and over 3500 event managers trained, I know a thing or three about the ‘how to’ of successful events. My event management experience covers arts and cultural events, music events, community and major festivals, sports events and business events. My aim is to help organisations, businesses and individuals design, plan and deliver their own outstanding events. I enjoy helping those involved in organising events to become capable and confident event managers, who feel able to deliver high quality and memorable events. I love a good event and I also have a lot of time for those wonderful people who are willing to say yes – I will organise the event. After all, those in the know will appreciate how hard it is to plan and deliver an event. Event Consultancy: We’ll coach you to run your own events or provide specific help. Event Management Courses We’ll create bespoke courses and train you to run your own events. Events Speaker: We’ll write and deliver talks on the ‘how to’ of planning successful events. Have written and delivered a number of event management courses to well-known client across the UK and more recently Europe and the Middle East and where the delegates have some form all over the world. Associate Event Lecturer on the Event Management Degree course at the University of Winchester and Event Management Diplomas with Event Management Training Limited. Creator and deliverer of a range of bespoke public event training courses via associations with a range of event training providers. I carry full Public, Employers and Professional liability Insurance. It’s true everyone of us could be an event manager at some time in our lives. 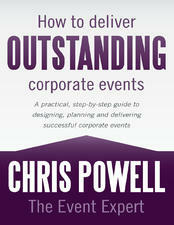 However, like many things in life, the ability to deliver outstanding events has to be learned. So, if you really want to put on a great event, you’ll need, on your team – experience, creativity, technical knowledge, vision, contacts and, above all event planning expertise. Chris Powell, Director of The Event Expert, has been helping (accidental, occasional and professional event planners) individuals, businesses and public-sector officers design and deliver all kinds of public and corporate events. Events that inspire, engage and importantly, deliver results. Want a FREE report – my 7 Steps to the Perfect Event Report… and learn the ‘how to’ skills of designing, planning and delivering successful events and get a whole lot more advice, tips and blogs…then pop your name in the box on the right! We used Chris for our major annual business conference. Chris is a superb organiser – his planning was second to none, he lined up a fantastic programme of speakers and delivered a truly professional approach on the day. I would definitely use him again.